Very happy with our apartment. Vicki and the team are really a higher class of server. They just get it. Excellent location, value for money and fantastic service. Very happy overall. The staff were very helpful and pleasant to deal with, we had no issues at all. We have stayed at Tribeca on a number of occasions (through City Edge) and this year was by far the best service under Tribeca itself. The whole process went seamlessly from beginning to end. The car park was essential for us. We live the convenience of the location. We have stayed there on numerous occasions. Staff were very co-operative, helpful and sensitive to my wife's needs when I attended Eye and Ear hospital for treatment. Ideal location near tram to city for dinner. Please convey our thanks to Vikki and staff. Perfect position, clean and spacious apartment for a family. Staff was helpful. Easy to go to the small IGA for food and the cafe/shops have great food. Must try the fish and chip shop their fish is awesome !! great room and location for the price. Wonderful! After spending several weeks in band on the road and sleeping in near brothel conditions, it was a breath of fresh air to have a quality, clean hotel that could accommodate a room for 5 guys at a reasonable price so close to our Melbourne venue. Thanks for being awesome!! The bed was a little uncomfortable but other than that it was great! For an overnight business stay - it's Terrific very comfortable & close to everything I need. Great services on the ground floor and food options. Internet and foxtel great to have. As always a very enjoyable stay at Tribeca. Good location, good amenities and excellent staff. Looking forward to the next time. Very happy - have stayed in the past and will stay again. Great location and good facilities. Excellent but made really excellent by upgrade to a 2 bedroom unit. Thank You for a wonderful surprise. Had a wonderful stay, and have already booked for next Melbourne stay. Had a great stay. Pool area was good. Unit had all we needed. A short walk to the city. We have stayed at Tribeca on several occasions and couldn't wish for a better place to stay. It is like a home away from home for us with all necessities provided, friendly, helpful staff. So close to the city, trams are wonderful, IGA below for provisions. Family members also stay here on our recommendation and are equally impressed. . Always great, love staying here. So close to everything and great having supermarket downstairs. apartment was good with all the facilities we required - for adults and children. It was a great location and the onsite carparking was very convenient. Easy Booking, helpful service and great accommodation. Would recommend to others! Staff always obliging. 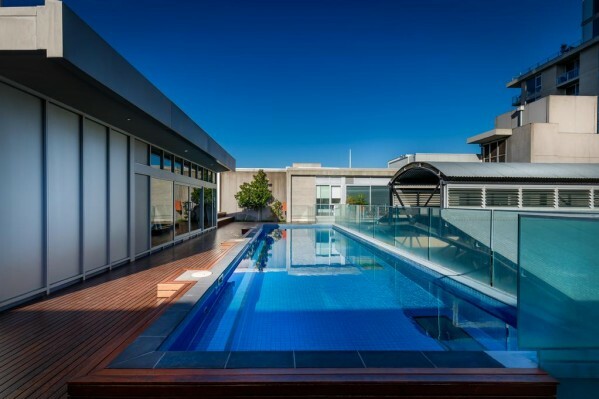 Great location, within walking distance from Melbouren city, Smith and Zgertrude Sts. Friendly helpful staff, last stay was in a recently renovated apartment very comfortable. 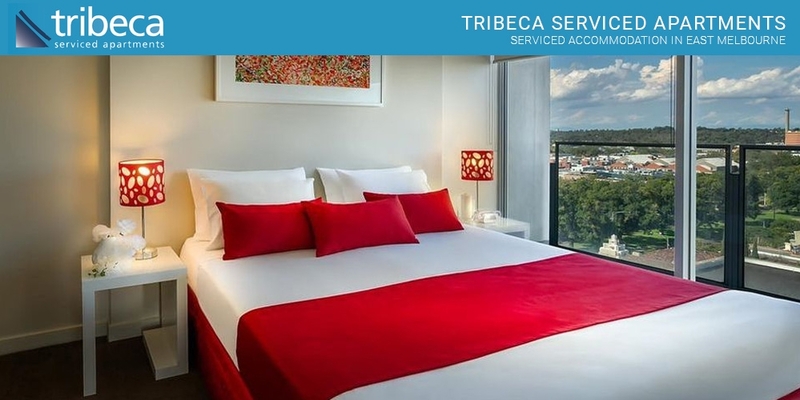 I enjoy staying at Tribeca as it is convenient to all services and the city. © Copyright – Tribeca Serviced Apartments All Rights Reserved.